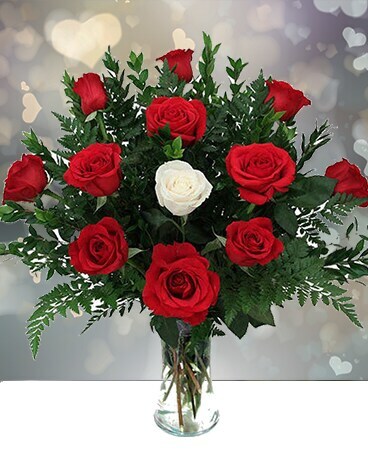 Stunning red roses are graced with one true, flawless white rose to make a perfect dozen. Arranged in a sweetheart glass vase. Beautiful!